Dr. Dan Wallis has been blessed to be under regular chiropractic care from birth, and has taken this and turned it into a major passion to bring the message of above, down, inside, out healing to his community in Northern Colorado. 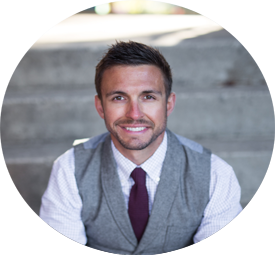 Dr. Dan is a graduate from Life University, and in 2015 he and his wife Elise founded and opened Elevate Chiropractic in Fort Collins. Thanks to hard work, a relentless passion to serve and direction from the best mentors around, they had an amazing start. Week 1 they served 192 patient visits, 230 week 2, and never stopped communicating the message principled TIC to anyone they were blessed to be in contact with. Dr. Dan’s mission is to help others cast vision for a better future, that they might realize the full expression of their potential. Today Elevate Chiropractic is a Fort Collins community staple, serving hundreds of families daily, and bringing hope to the community through the location and reduction of vertebral subluxation. In 2018 Elevate received the honor of being named Small Business of the Year through the Fort Collins Chamber of Commerce. This award was a humbling honor, and they are grateful to bring a great name and experience to the public, in order to boost the perception of the chiropractic profession as a whole. Dr. Dan is a 2018 member of the Amped Board of Advisors, and loves giving back to Docs and students to help them be successful through principled chiropractic. When not in the office, Dr. Dan is a loving husband and father, and will do anything in his power to spend as much time as possible with his wife Elise, daughter Selah, and serving in their church.